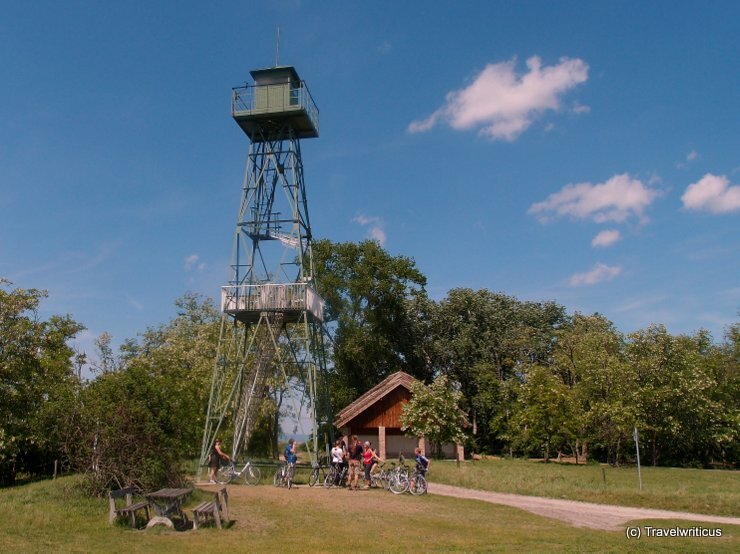 After visiting the white donkeys at the national park Neusiedlersee – Seewinkel I climbed up a former border guard tower which served as part of the Iron Curtain at the Hungarian side of the border. Today it is used as a watch tower for tourists at the Austrian side of the border. This entry was posted in Towers and tagged Austria, Burgenland by Travelwriticus. Bookmark the permalink.